In the Golden State Warriors’ final season playing at Oracle Arena in Oakland, ‘Game Recognize Game’ is a dedicated campaign to recognize the famously loyal fans who’ve supported the Warriors across five decades of history. 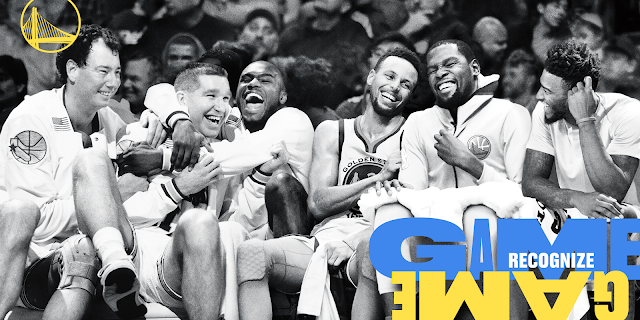 ‘Game Recognize Game’ celebrates the franchise’s legacy in Oakland through novel pairings of Warriors players -- old school and new -- that have given fans reasons to cheer for 47 seasons. The tagline also winks at local fans who recognize the 1993 Bay Area rap anthem of the same name. Game Recognize Game is the first work for the Warriors by Duncan Channon to acknowledge fans as the franchise transitions from Oakland to San Francisco’s Chase Center in fall 2019. The campaign debuts October 15 wrapping Oracle Arena in advance of the Warriors v. Thunder season opener -- with OOH appearing throughout the Bay Area. TV spots will air on CSN Bay Area and ABC. A second phase of OOH is planned that features actual Bay Area fans, and spotlights the diverse neighborhoods that make up Dub Nation. To complement the creative campaign, the Warriors will also host in-arena activations to help fans celebrate memorable moments across five decades of Dubs. Music: Songs for Film and T.V.